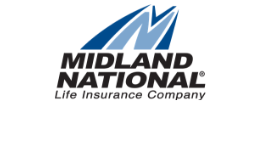 Sammons Financial Group is hiring a Regional Vice-President to oversee Midland National Life Insurance’s Georgia territory. Based in our Sioux Falls, SD, location, this role is responsible for meeting sales and recruiting goals, and for building and maintaining relationships with General Agents. The ideal candidate will also successfully promote Midland National products and have at least five years of relevant industry experience. A career at Sammons Financial Group means not only a competitive salary, but also a robust benefits package and an emphasis on personal development and company culture. From traditional health benefits to fitness reimbursement to designated volunteer time off, Sammons Financial Group supports their employees’ physical and mental wellness in and out of the office. We are dedicated to engaging our employees in our high-performing and values-based culture. To learn more about a career with Sammons Financial Group, click here. To apply for the Regional Vice-President role, click here.